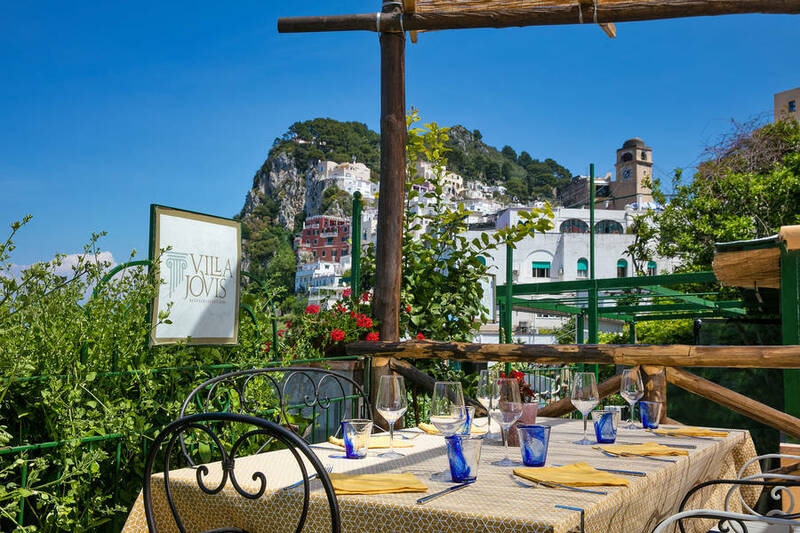 Villa Jovis was once the luxurious residence of the Roman emperor Tiberius on the island of Capri, and today the new Villa Jovis restaurant on Capri takes its inspiration from this ancient imperial retreat. 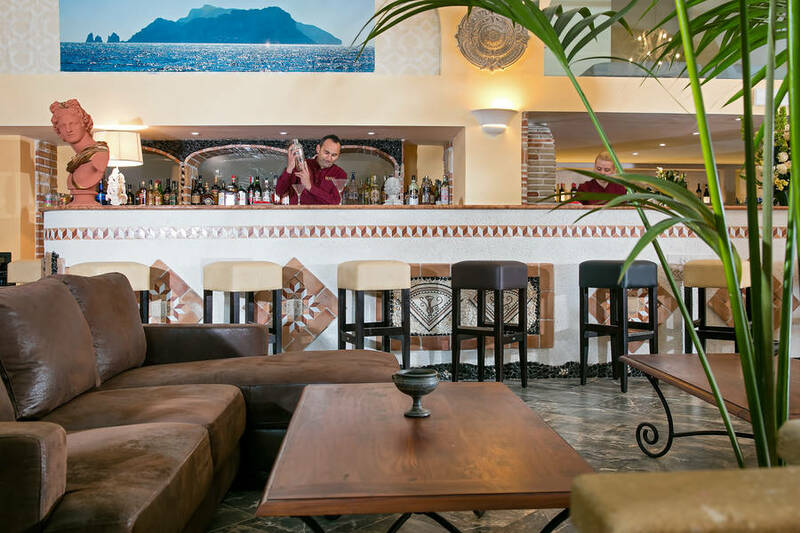 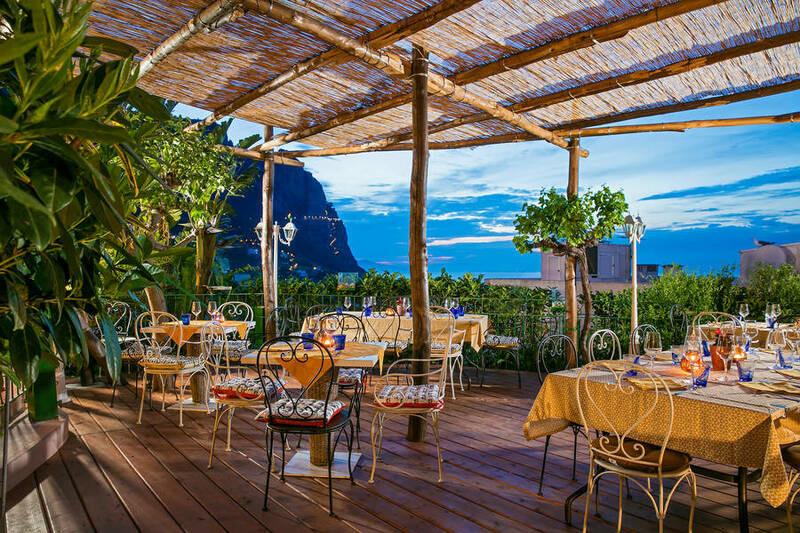 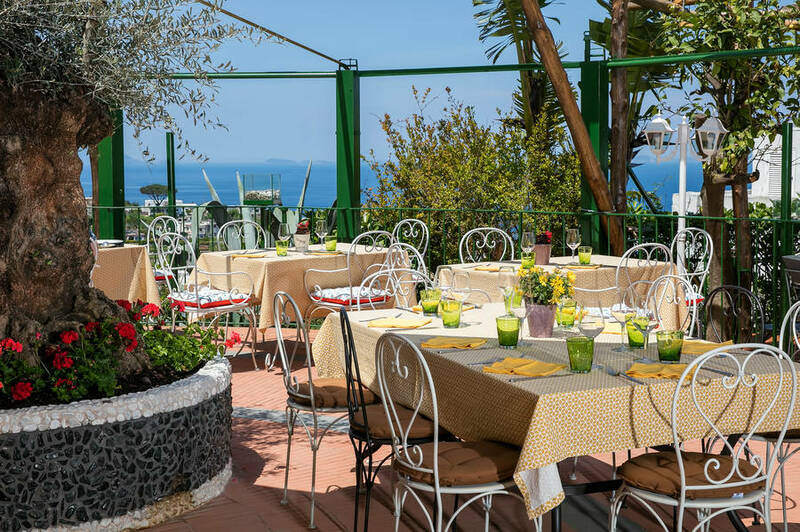 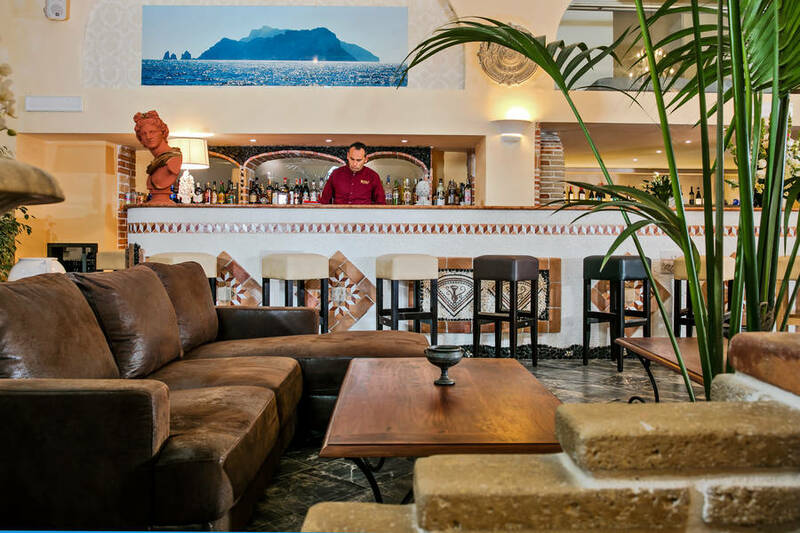 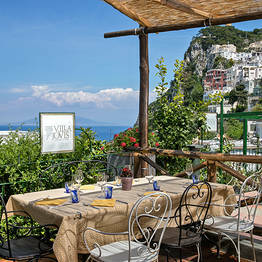 Savor the flavors and traditional dishes of southern Italy surrounded by a sumptuous decor and overlooking the Bay of Naples. 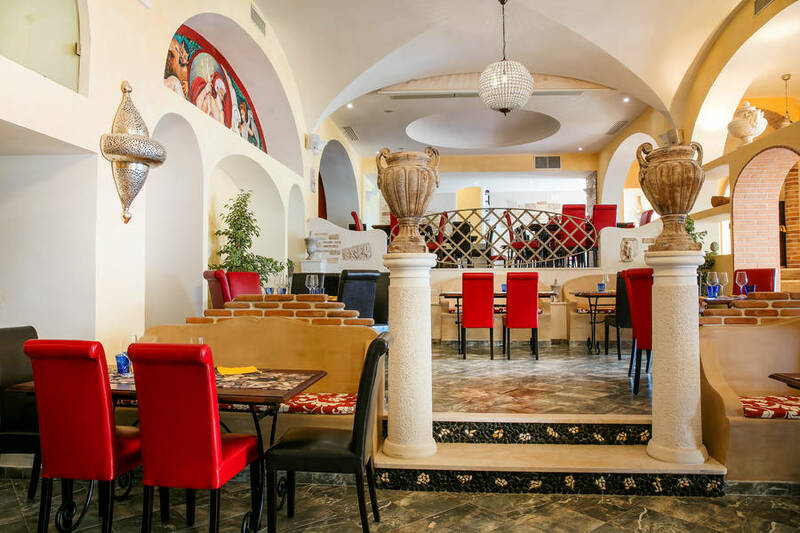 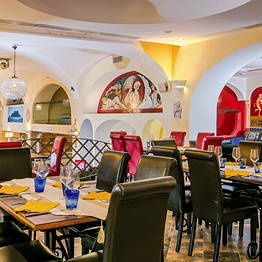 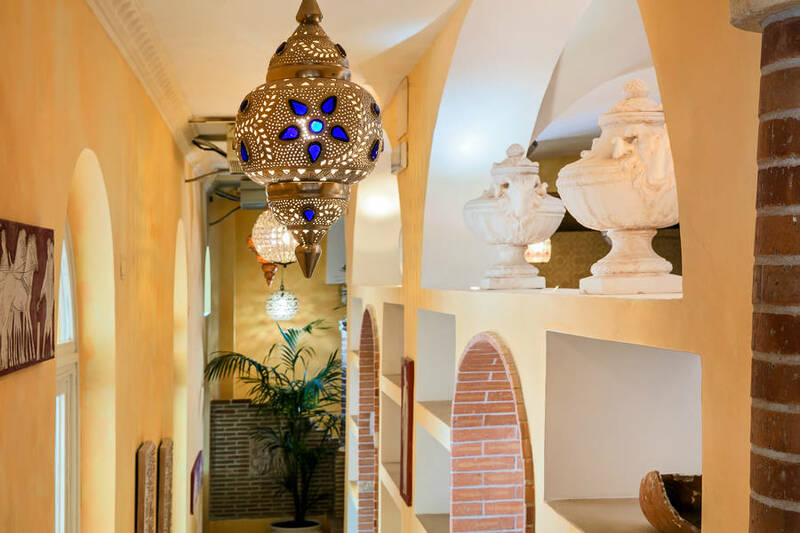 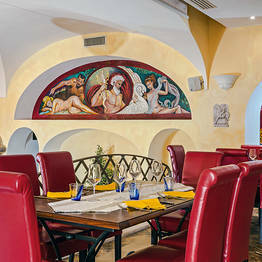 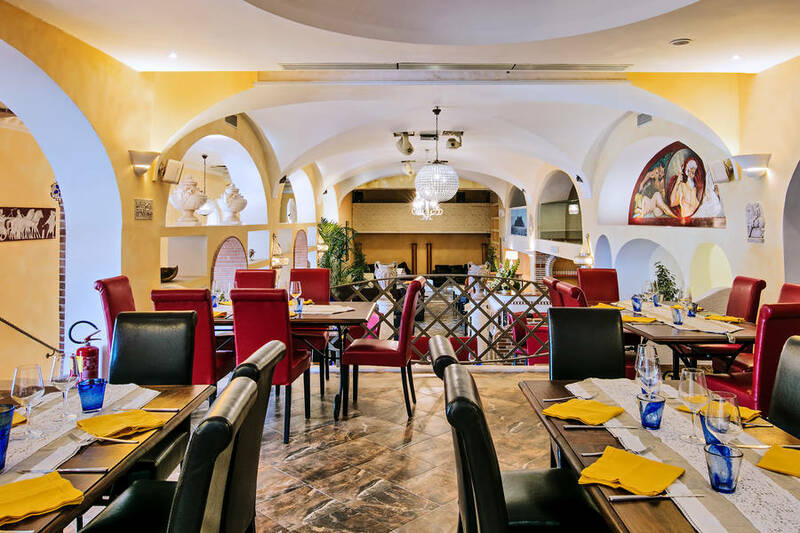 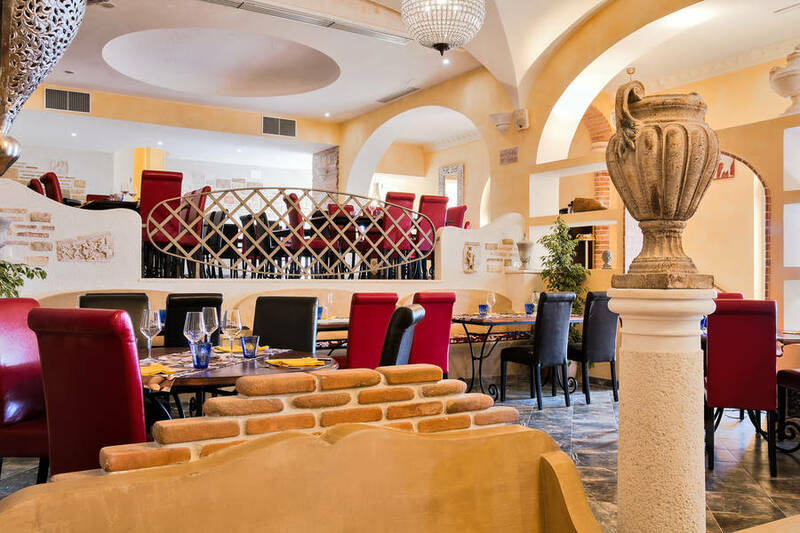 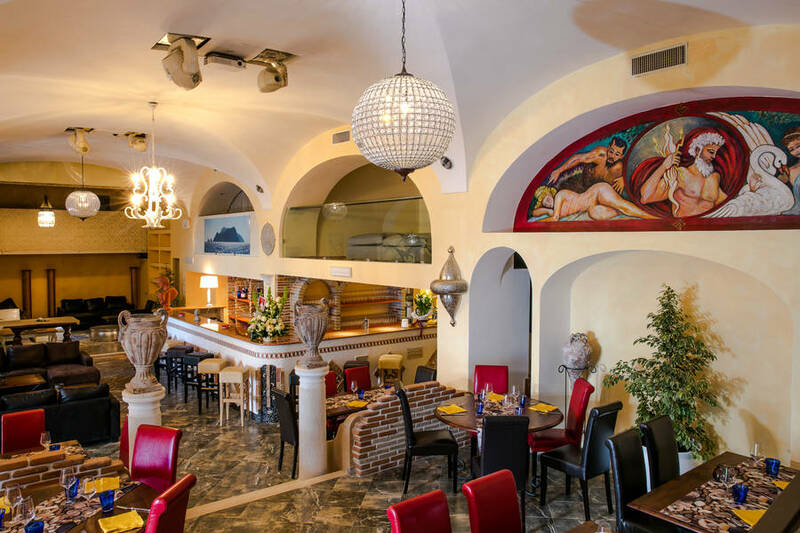 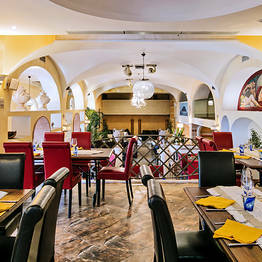 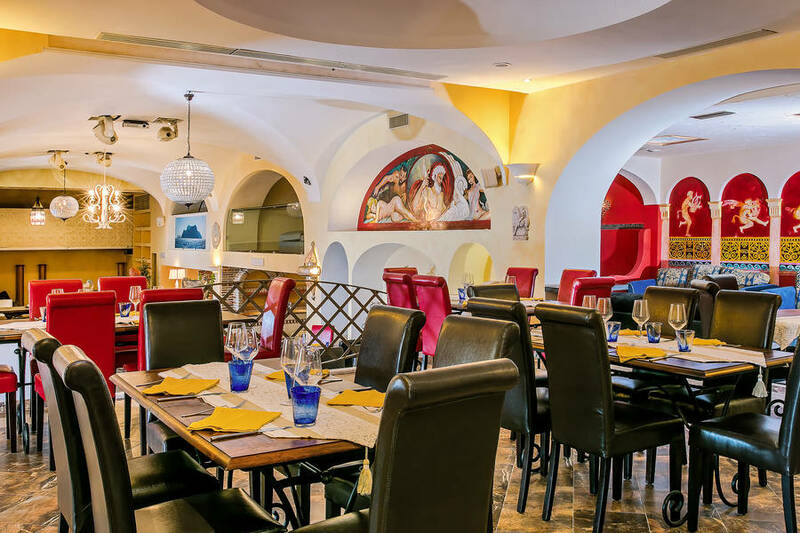 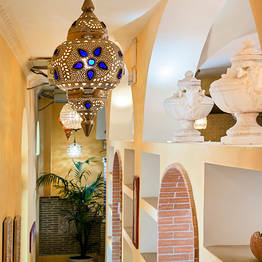 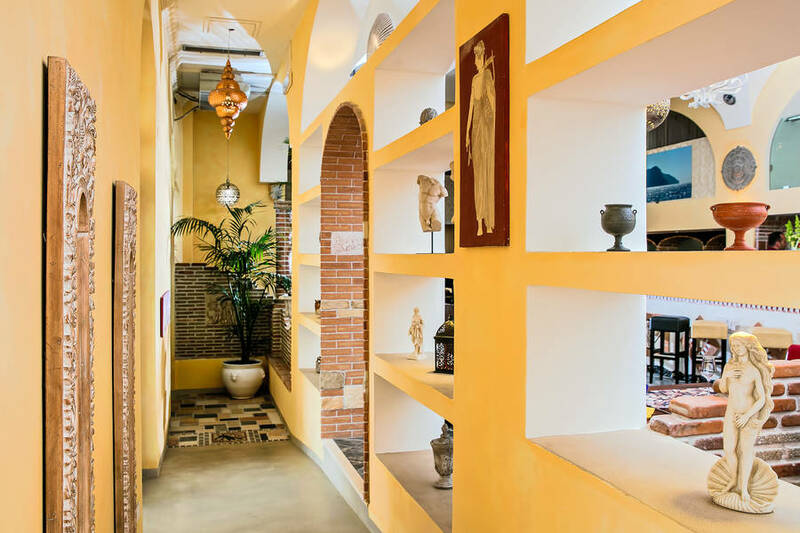 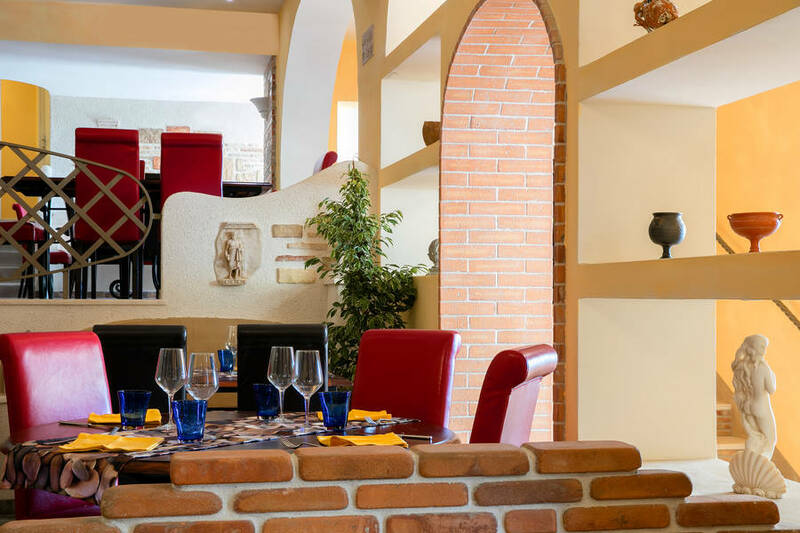 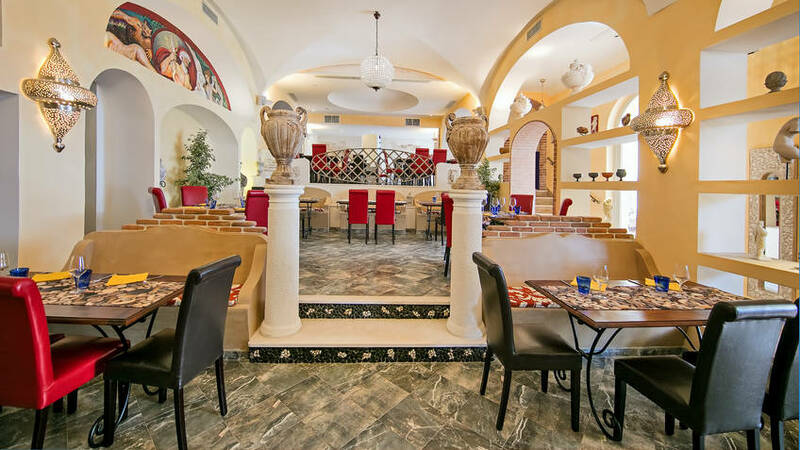 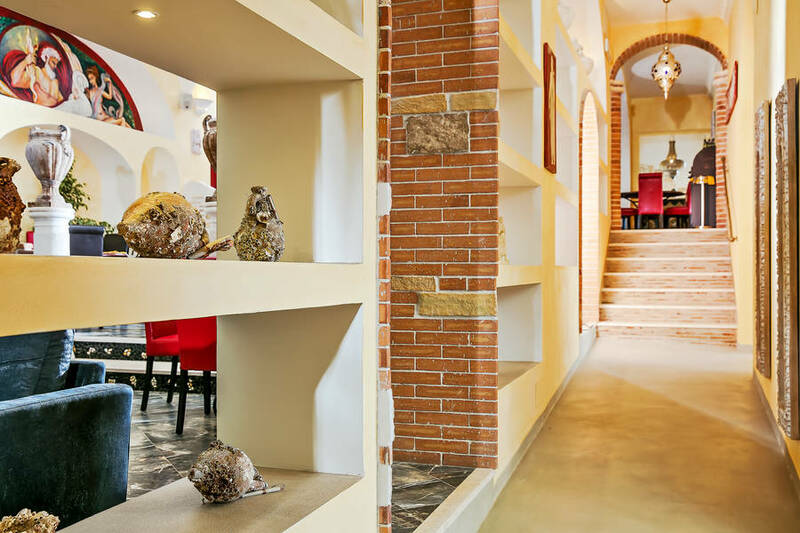 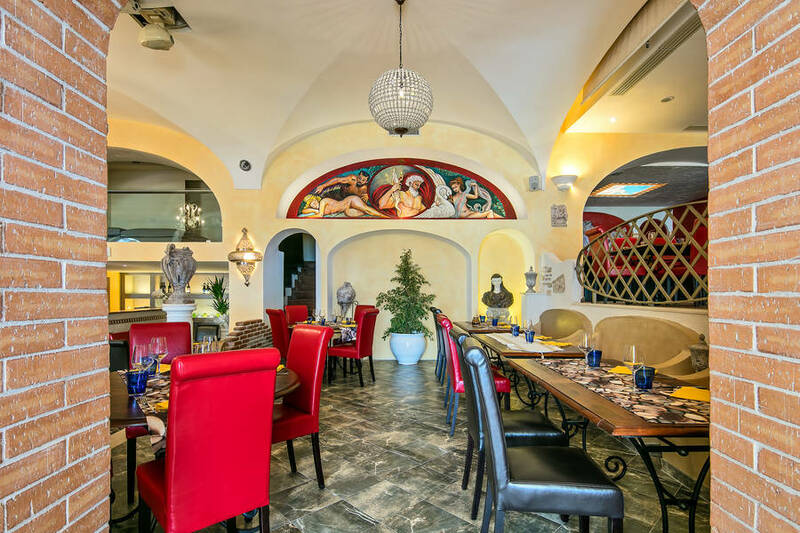 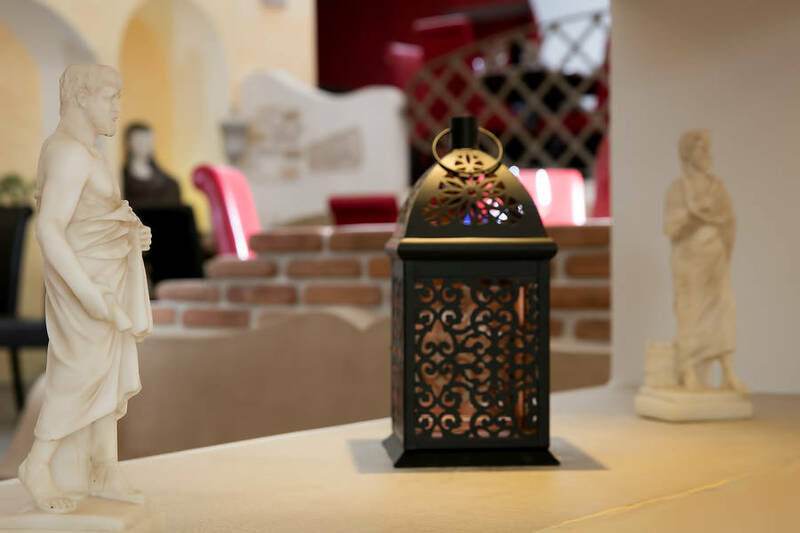 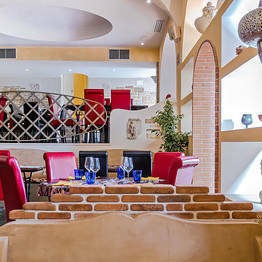 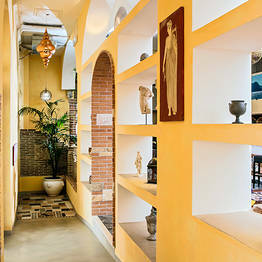 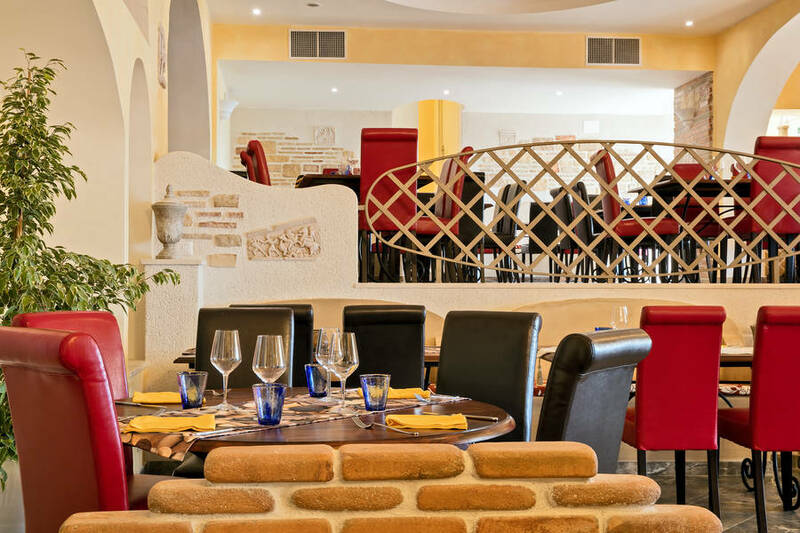 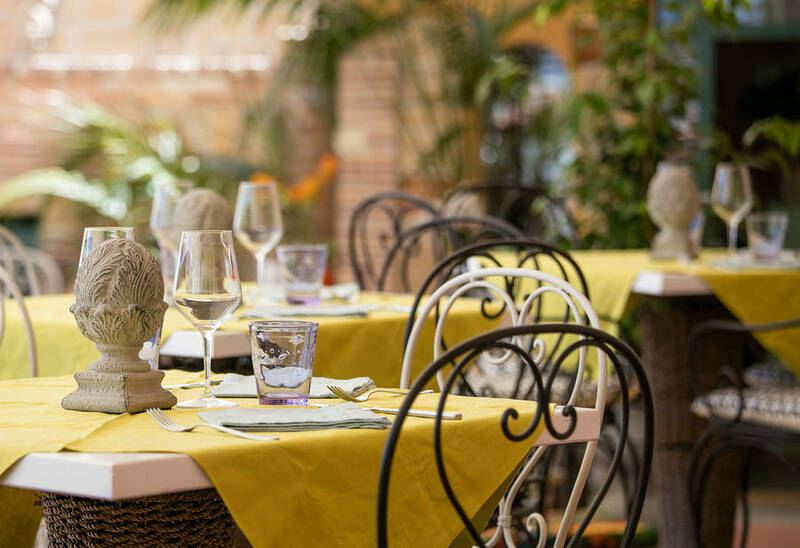 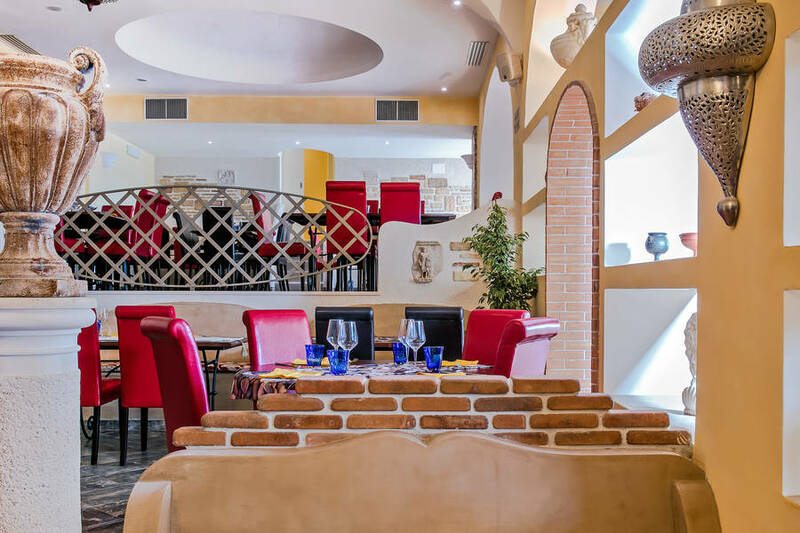 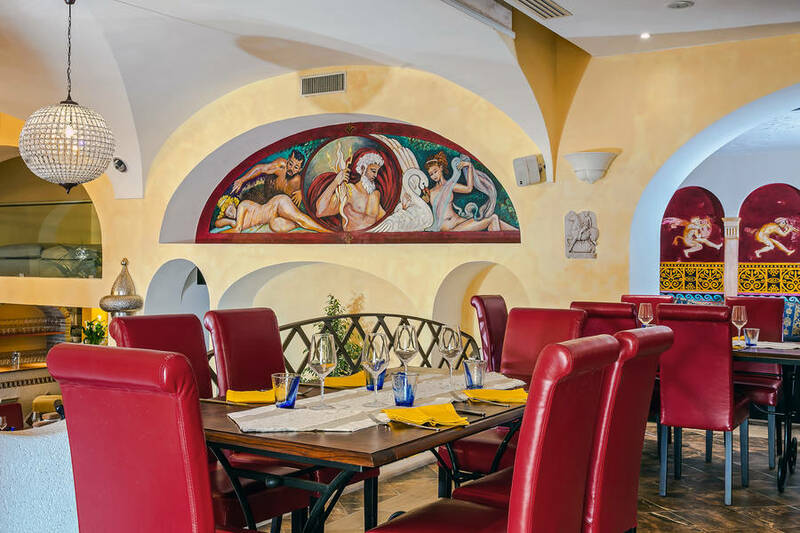 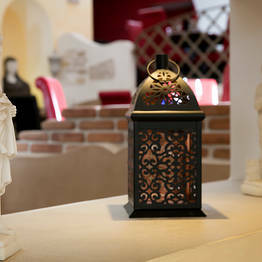 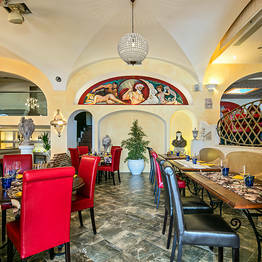 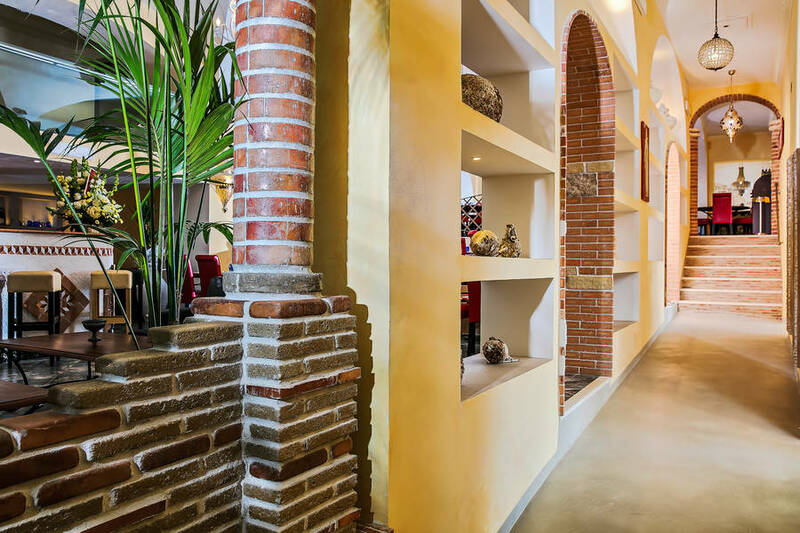 Dine under arches and surrounded by the columns, statues, amphoras, mosaics, paintings, and relief work for which Roman villas were so admired: at the Villa Jovis restaurant, you can relax in the elegance of an ancient Roman villa while sampling the best of Italy's southern cuisine. 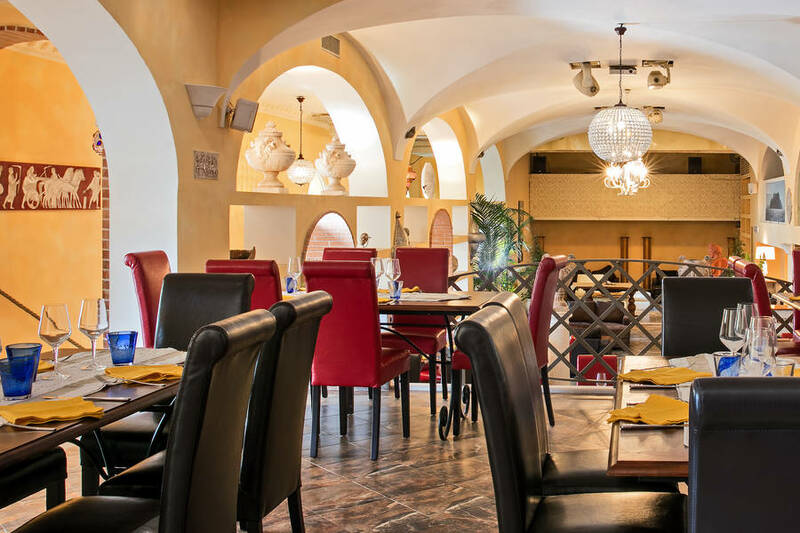 In the main dining room, the warm Mediterranean palette makes for a perfect backdrop for a romantic dinner for two or an evening with friends or family. 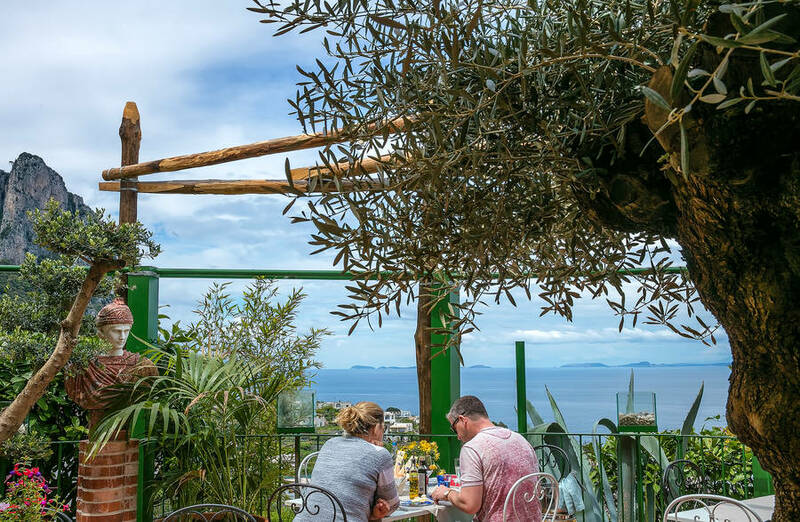 On warm summer evenings, choose to dine al fresco on the large outdoor terrace at Villa Jovis, under the canopy of stars and overlooking the twinkling lights of the coast along the Bay of Naples. 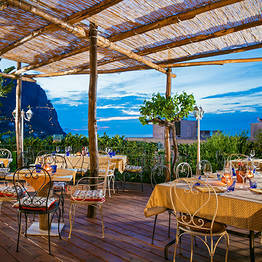 A sunset cocktail on the terrace at Villa Jovis is truly unforgettable and not to be missed! 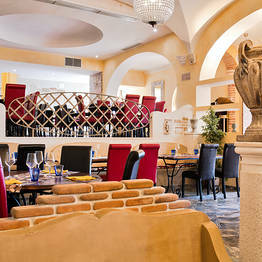 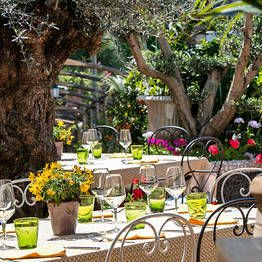 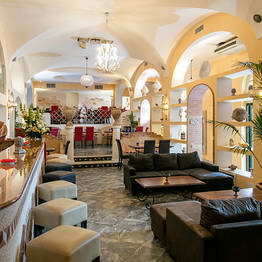 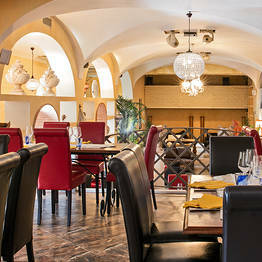 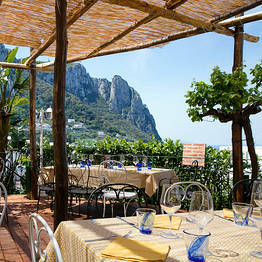 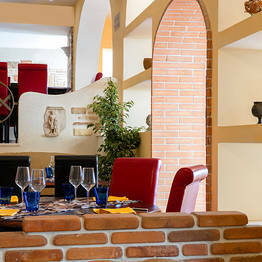 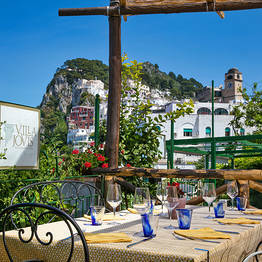 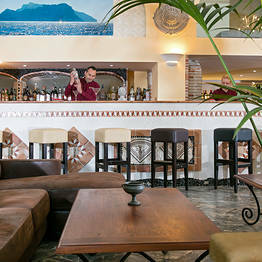 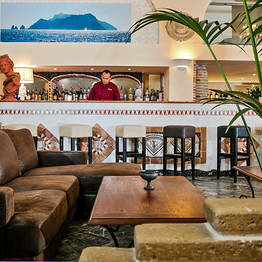 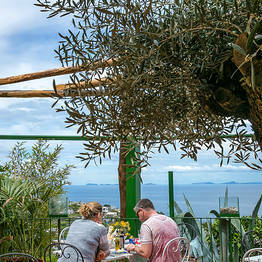 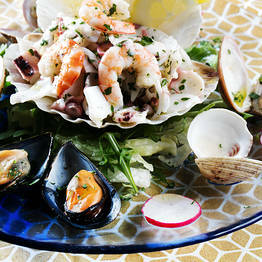 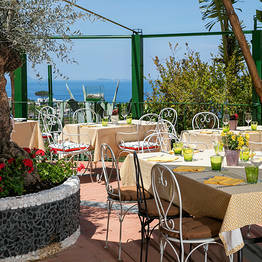 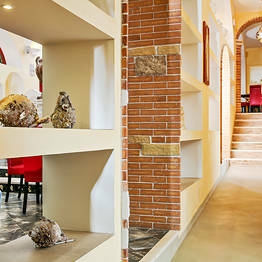 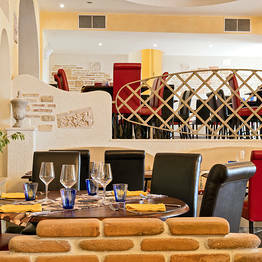 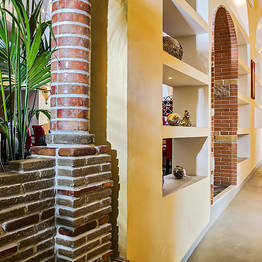 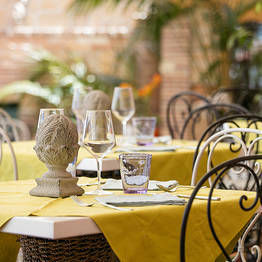 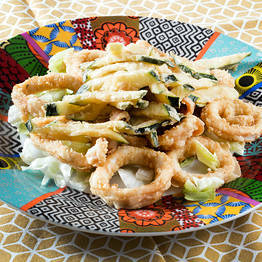 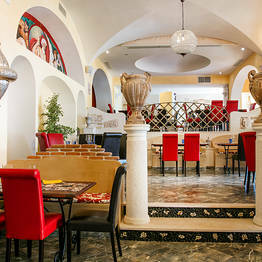 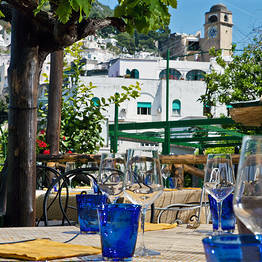 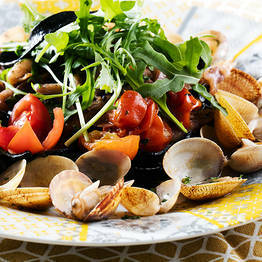 The menu at Villa Jovis features the best local specialties of Italy's southern coast and islands. 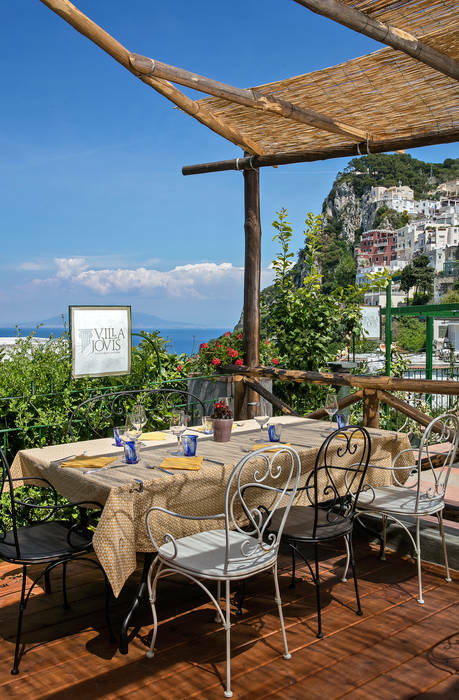 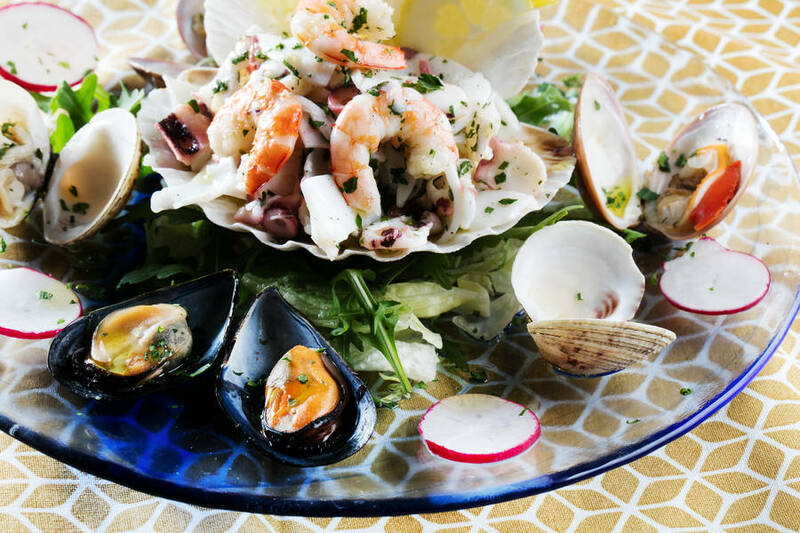 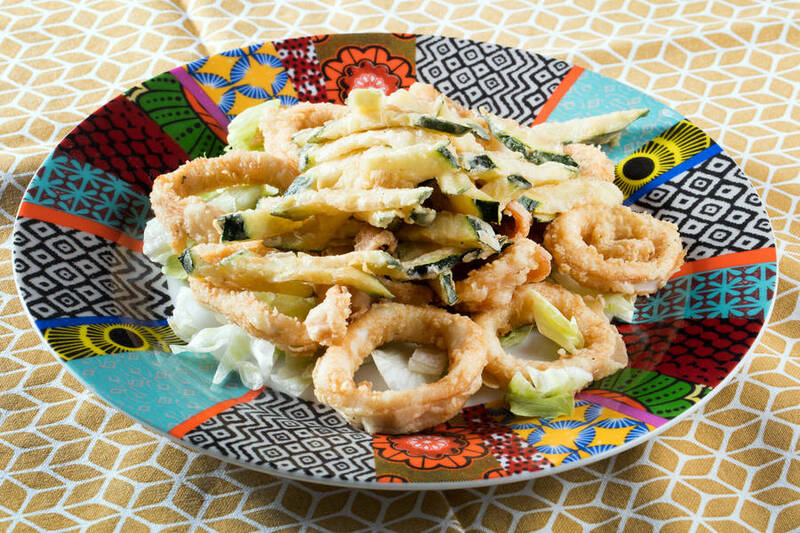 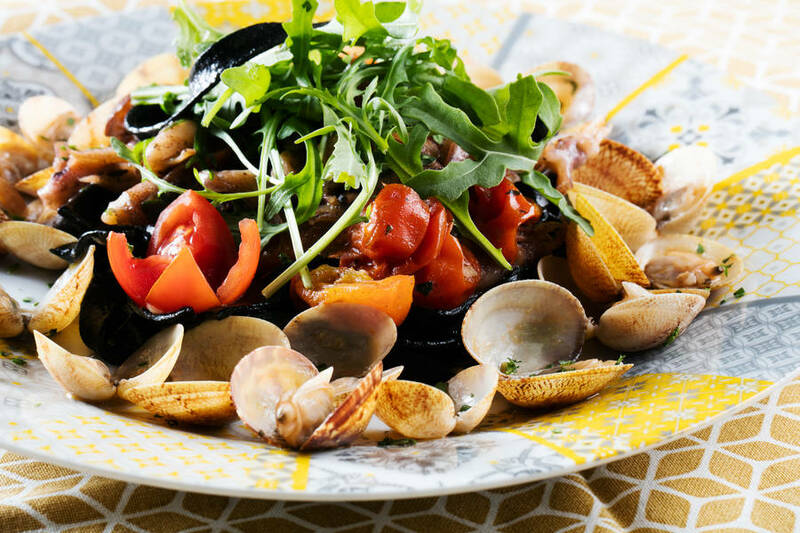 Fish, seafood, and local ingredients are highlighted, from the famed ravioli capresi from the island of Capri to historic recipes from Naples and the Amalfi Coast. 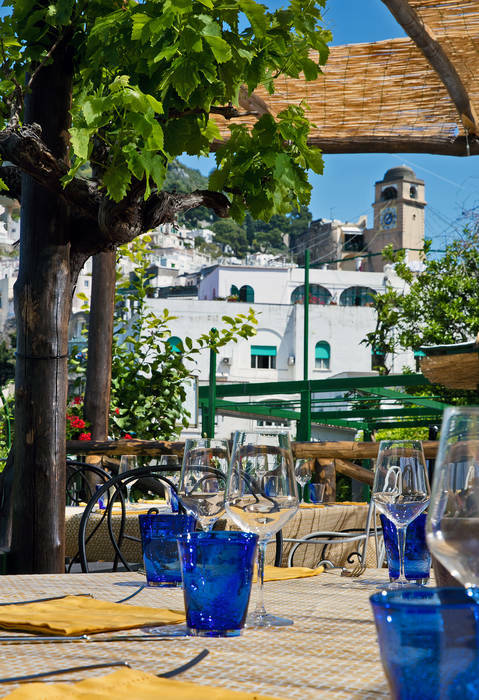 The wine list includes the best Italian labels, and no dinner can be complete without a cool sip of Limoncello di Capri, the island's famous lemon liqueur. 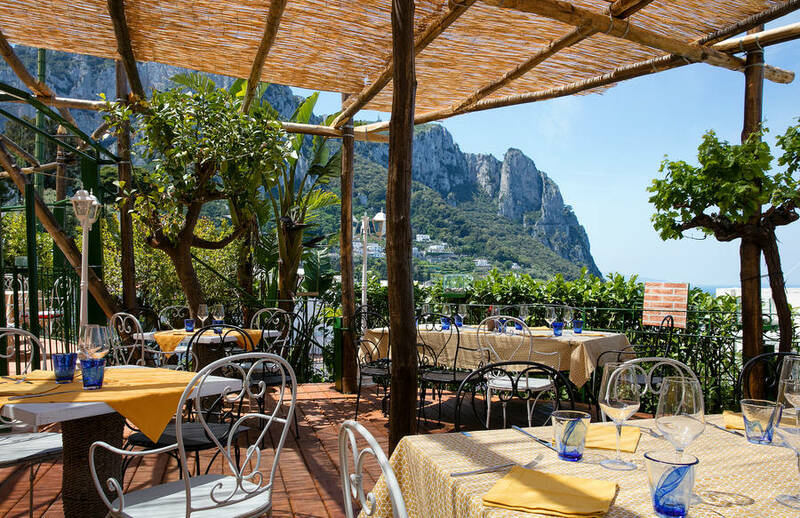 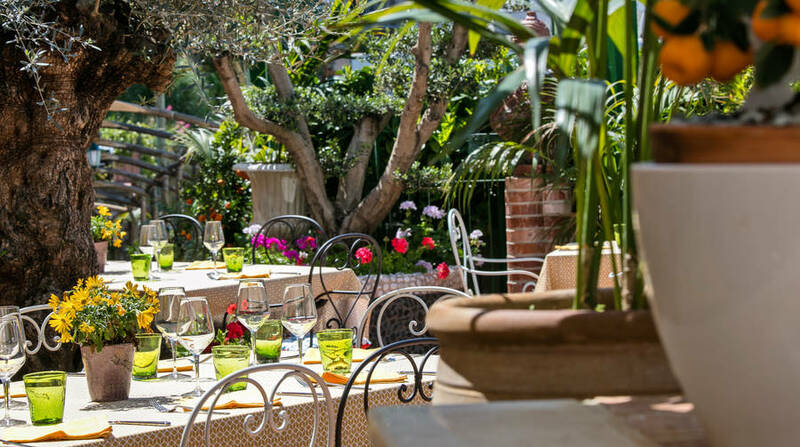 From Capri town's famous Piazzetta, you can reach the restaurant by walking just a few meters past the taxi and bus stop to Via Roma n.36. 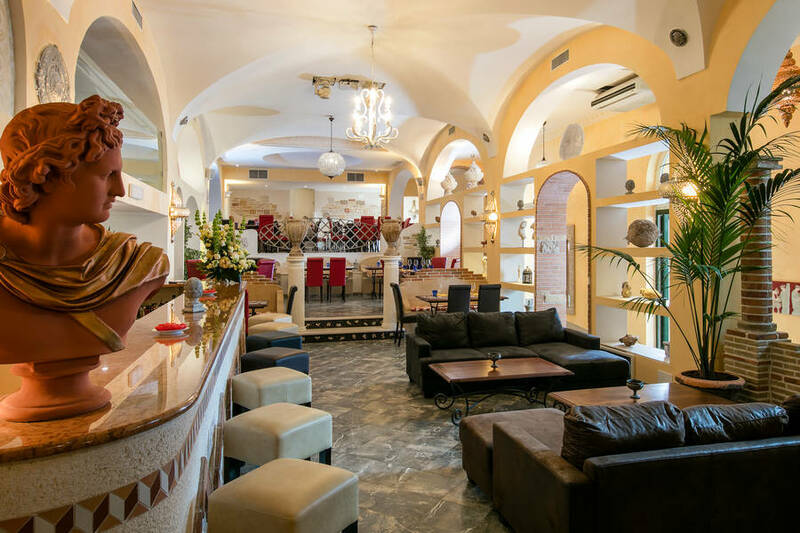 Otherwise, from the same Piazzetta, take the stairs at the base of the clock tower down to Via Lo Palazzo n.1 and you'll find yourself transported to the captivating atmosphere of ancient Rome!